Of the crowds of people who head to London each year, many choose to stay in East London. Save cash when you purchase flight and hotel deals via Expedia. Savvy vacationers understand that flight and hotel packages are an excellent way to save money and time. Just think of all the things you can do in East London with the extra cash. Do you want to save up to 15% on your East London vacation? Book a deal. With roughly 400 partner airlines and 321,000 worldwide hotels available on our extensive database, your dream vacation will easily come to life. The steals at Expedia make planning your getaway that much more enjoyable. What are you waiting for? If you decide to change your mind we will certainly honour your cancellation request with no extra fee from us, on almost all reservations. Soak up the nation's capital or take in the charm of this suburb. You're sure to meet some local characters out of the 7,600,000 residents who live here. East London is only 25 miles east of Heathrow Airport. If you're heading to East London from the city centre, you'll need to go 9 miles to the east. There's loads to discover in the vicinity! You must visit Greenwich Park and Royal Observatory. Check out the University of Greenwich and London Fields if you have time to spare. And finally, Manor Park and East Ham are two nearby neighborhoods you might want to make your way over to. You cannot miss a chance to go to the Big Ben. It's only 0.5 miles from the city centre. Make sure you spend time at the Coca-Cola London Eye and Westminster Abbey while you're touring the central area. Also look into the Tate Modern and Kensington Palace. Need to loosen up a little? Lively options include Docklands Equestrian Centre and the Aspers Casino. Escape less than ideal weather at Firepower: The Royal Artillery Museum, the Emirates Aviation Experience and the Redbridge Museum. Check for group tours or wander the rooms and halls on your own. Look over the event schedule at the Yard Theatre, the Brick Lane Music Hall, theatre Royal Stratford East and the Kenneth More Theatre. If any upcoming performances take your fancy, secure seats as soon as possible. Think you have the skills to get under par at the Fairlop Waters Golf Course and the Ilford Golf Club? These challenging courses have been known to give even the most experienced pros a run for their money. Take your children to some family-oriented attractions, such as the Emirates Air Line Royal Docks Station, the Emirates Greenwich Peninsula Station and the Discover Children’s Story Centre. Put on your hiking shoes and stroll through the nearby natural parks, such as East Ham Nature Reserve and Bow Creek Ecology Park. If the weather's fine, grab your book and travel to a nearby park. Top ones are Valentines Park, Wanstead Park, Plashet Park and Maryon Park. Sip on a tasty beverage and browse the shops at Westfield Stratford City, Roman Road Market and Exchange Ilford. Learn more about the past at one or two of the nearby historic sights, including The Crystal, Tower Hamlets Cemetery Park, Valentines Mansion & Gardens and Eastbury Manor House. St Matthias Old Church, the ISKCON Bhaktivedanta Manor and The Hospital Chapel of St Mary & St Thomas offer travellers an opportunity to understand the region's spiritual side. Chant and yell while you witness the West Ham United F.C. on their home ground, Boleyn Ground Stadium. Your group can also arrange a behind-the-scenes tour of this property. 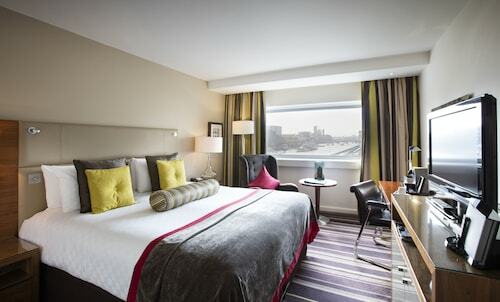 If you're not sure where to stay, take a look at our East London hotel options. There are 146 different accommodations to choose from in this highly popular destination. 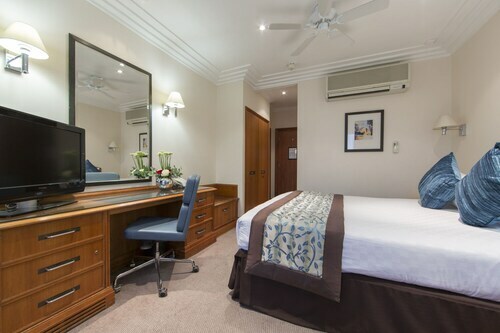 Good examples of the more high-end accommodation options in East London are the Harmony Living Serviced Apartments, 164 Blackwall Way, and the Canary Riverside Plaza Hotel, 46 Westferry Circus. If you want to see what the cheaper options are like, The Clarendon Hotel, at Montpelier Row, and The Antigallican Hotel, at 428 Woolwich Road, are worth looking into as well. 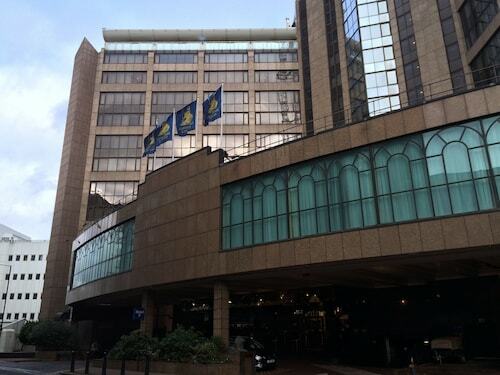 Located in London City Centre, this hotel is within a 10-minute walk of Sky Garden, The Gherkin and Tower of London. Tower Bridge and Liverpool Street are also within 15 minutes. Tower Hill Station and Tower Gateway Station are within a 5-minute walk. 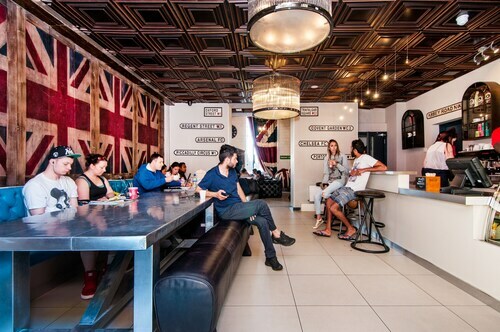 Located in London City Centre, this hostel is within 2 miles (3 km) of The Shard, Tower Bridge and London Bridge. Tate Modern and Westminster Bridge are also within 2 miles (3 km). London Elephant and Castle Station is 8 minutes by foot and Elephant & Castle Station is 11 minutes. 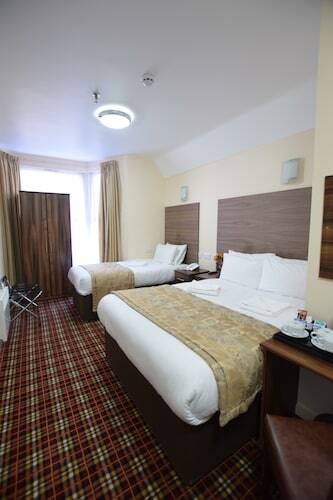 Located in Redbridge, this hotel is within 9 miles (15 km) of Westfield Stratford City, London Stadium and Tower of London. 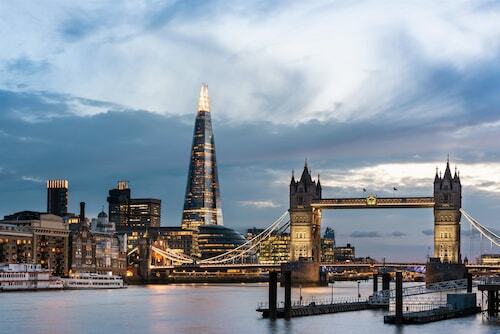 The Shard and O2 Arena are also within 9 miles (15 km). Ilford Station is only a 3-minute walk and Gants Hill Underground Station is 29 minutes. 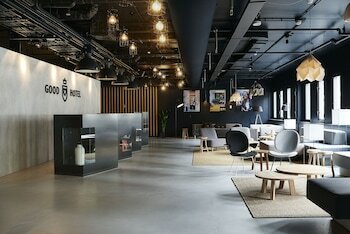 Located in Greenwich, this luxury hotel is 0.2 mi (0.3 km) from O2 Arena and within 6 miles (10 km) of London Stadium and Westfield Stratford City. Tower of London and Brick Lane are also within 6 miles (10 km). North Greenwich Underground Station is 9 minutes by foot.